The Belgian described the move as a ‘dream come true’ after signing a five-and-a-half-year deal in January 2012, only to see the doomed spell at Stamford Bridge end after just nine appearances. Signed then for around £9million, De Bruyne has since gone on to establish himself as one of Europe’s best players and his rise was clear when he returned to England with Manchester City in a £54m deal in 2015. 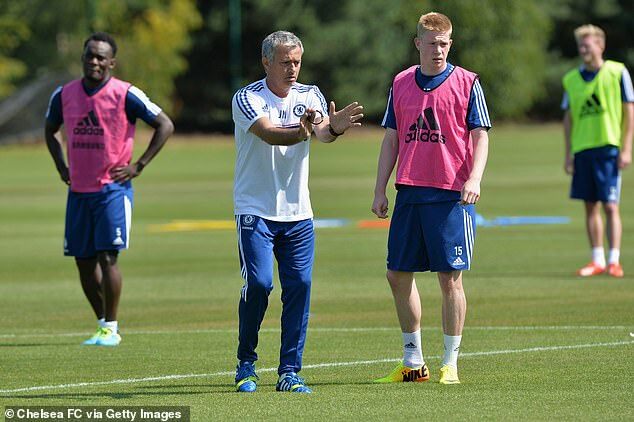 De Bruyne, then a 20-year-old, found himself competing with Eden Hazard, Juan Mata and Brazilian international Oscar for a spot in the attacking triumvirate behind the striker in Mourinho’s preferred 4-2-3-1 formation. ‘(Jurgen) Klopp wanted me to come to Borussia Dortmund, and they played the kind of football that I enjoy,’ the Belgian added. 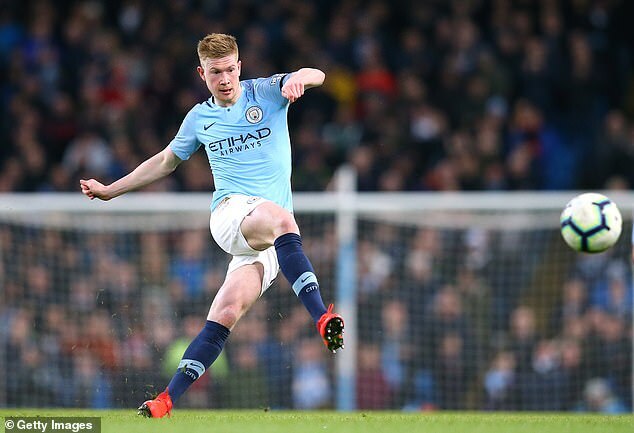 A key cog in Pep Guardiola’s side, De Bruyne now has 40 goals and 62 assists in a City shirt with Chelsea now left to rue an expensive mistake in letting him leave.